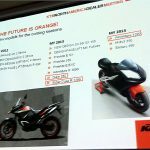 Pedestrian Costco members may have seen the Kawasaki motorcycles on display within the giant warehouses. 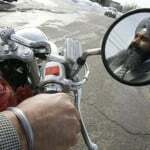 Motorcycle riding Costco shoppers certainly did. The effort is part of referral program originally developed for automobile purchases. 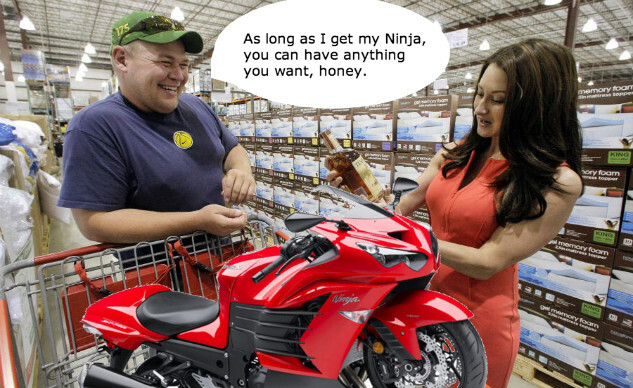 And now, after two successful years, Kawasaki and Costco are renewing their partnership. 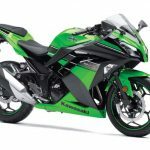 Possibly even bigger news is the fact that Kawacostki is allowing participating Kawasaki dealers to include other, competing OEMs in the program if the dealer is a multi-line franchise owner. In other words, a Kawasaki dealer that also represents Honda, Yamaha, KTM, etc., can take advantage of the Costco pricing offer to the benefit of those brands; although, the dealer will not be able to display the other brands at their local Costco location. Seems like a win-win situation for both consumers and dealers. Currently Kawasaki has representation in 250 of the 400 Costco locations nationwide. The goal is to up that to 100% inclusion in the United States by the end of the year as well as expand the program into Canada next year. 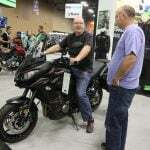 If no participating Kawasaki dealers exist within a 50-mile radius of a Costco warehouse, dealers carrying other brands will be invited to participate and will be able to display their chosen brand at that Costco location. 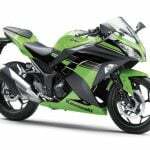 The only drawback for consumers is that they will not qualify for the benefits awarded Kawasaki purchasers such as a $200 Costco Cash card.